A small group headed upstairs to find out, and the very first person they asked had quite a story to tell. Yes, Grandpa Norm had not only seen the Blue Jay, but it had landed on the handle of his walker and kept him company for many minutes! The children couldn’t believe that the Jay had pecked on Norm’s cell phone and even moved his playing cards around. Grandpa Norm jokingly wondered if the bird wanted to play poker! The children clearly weren’t sure what that meant, but laughed along. The class thought that of all the residents, Grandma Marion must’ve met the Blue Jay on one of her many walks around the building. And she had! But instead of sharing her tale, she patiently listened to the children go on and on about the many places they had seen it – in the Pines, in the Woods, on the Playground, and even once it was perched on the front door to the building, having followed the rowdy class all the way from the Swamp. Marion promised to report any further sightings. While visiting memory care, children used found feathers to tickle the Grandmas’ and Grandpas’ arms and cheeks as they told the seniors stories from the ever growing list of Blue Jay antics. Together, the generations sang a made-up version of the Itsy Bitsy Spider, changing the lyrics to reflect the Blue Jay sightings. Teacher Diane made a sock puppet, which delighted everyone as it moved its crest up and down and called out “jay” sounds. 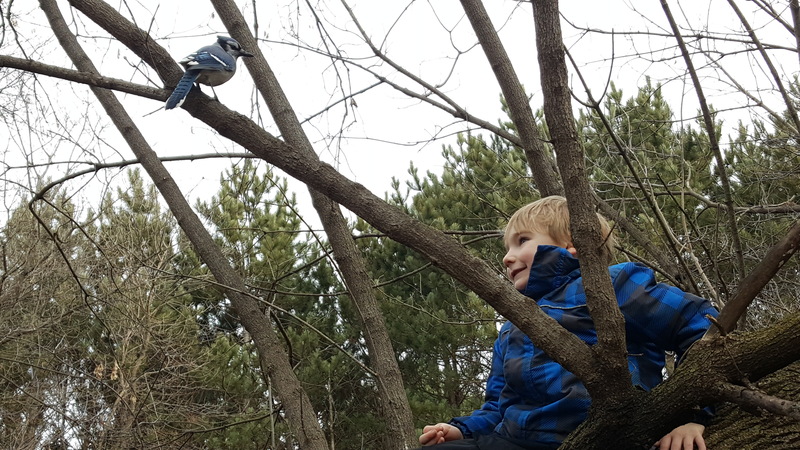 An environmental educator was asked to visit and answer the children’s growing questions, and Pete happily came from Dodge Nature Center, bringing along a stuffed specimen of a real Blue Jay. We could see the variations in feathers, the strong bill, and the tiny sharp claws, while Pete answered endless questions. The most intriguing mystery had to do with what it ate, specifically what was our Blue Jay’s most favorite food of all. The guesses came flying out – yogurt, hot chocolate, peanuts, or maybe cake! As children drew pictures of birds, using the mount as a model, they continued to chat about bird food. 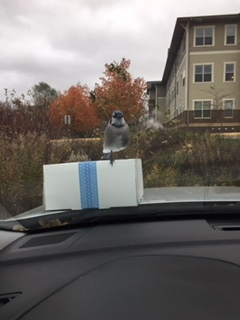 A plan was devised to set out all manner of food choices and watch to see what the Blue Jay picked first, then they’d know the very favorite. Two egg cartons were filled with food samples brought from children’s homes as well as some found in the school kitchen. 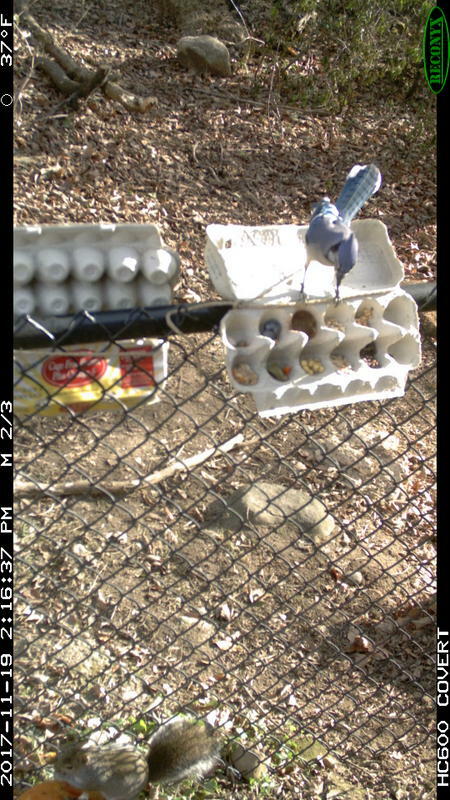 The problem of not being able to see if the Jay came while they were at home was solved with a bit of teacher initiative. A trail camera would catch pictures while we were away! The camera didn’t disappoint, and children and teachers alike could hardly contain their excitement. “Let’s do it again!” was chanted. (The favorite food? Cake!!) Finding and building upon a shared experience is what keeps emergent curriculum alive and ever changing. Where we go next is anyone’s guess. When the topic is shared across generations and brings communities together, it becomes a thing of magic, not easily forgotten. When you think of toddlers, what comes to mind? Often we hear toddlers described as difficult, impulsive, and destructive. The “terrible twos” are a phase many a parent has entered with trepidation. Even educators struggle with toddlers; my sister recently told me of a daycare director she met with who flat out admitted she didn’t like toddlers. Certainly I’ve received my fair share of looks of horror when I’ve shared that I’m a toddler teacher. It seems toddlers have a strong reputation, and it’s not to say some of it isn’t deserved. Indeed, toddlers ARE impulsive. They can be difficult, and show me a toddler who’s never dumped out a toy basket or colored on a wall. It’s true that toddlers have a special way of button-pushing that grinds on the nerves of even the most even-keeled parents and teachers. 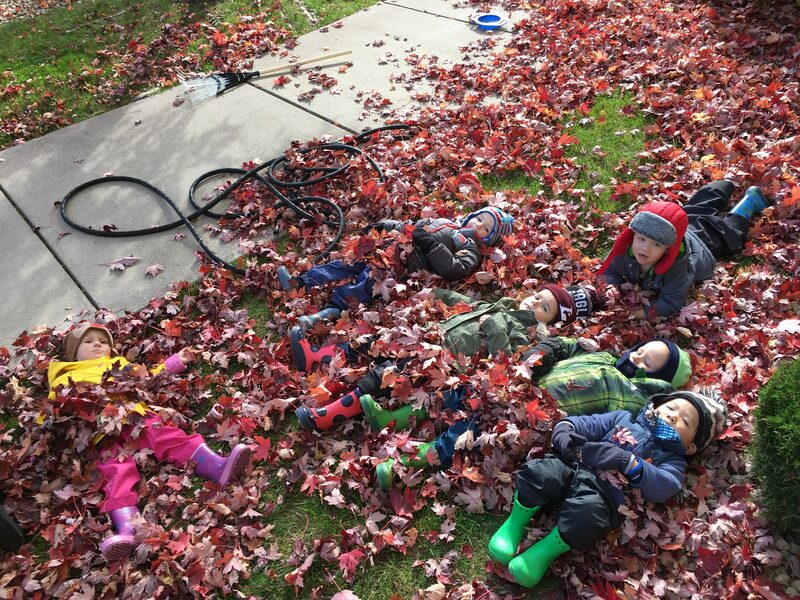 We often look at toddlers through the lens of what they can’t do. We’re fried by trying to meet their constantly changing needs and wants, frustrated by their testing, and exhausted by their big feelings. 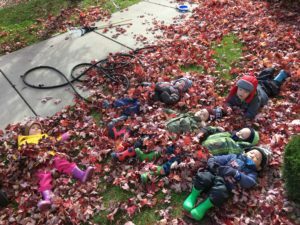 It’s a constant push-pull with toddlers; there’s so much they want to do for themselves yet so much they still need help with. But I think it’s time to reframe how we see our toddlers. Lately I’ve been in awe of that all my toddler students CAN do. They are resilient, creative, capable, and empathetic. They know so very much about their little worlds, and they’re a vital part of them. Seeing toddlers this way has changed me as a teacher. I’ve gotten braver, and I believe my students have benefitted. 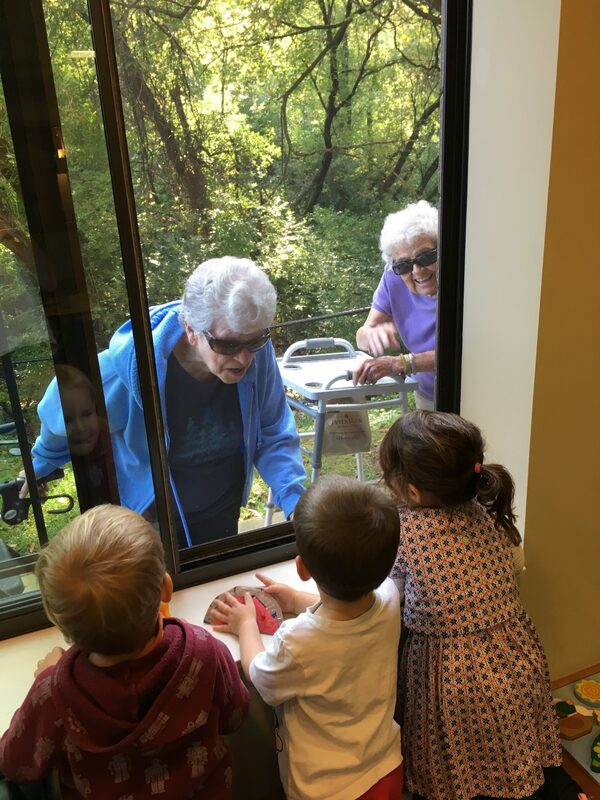 My first year, I wouldn’t have dared take my little group of five toddlers upstairs to visit seniors. Now, it’s one of my favorite things to do with them. Do they run in the hall, push all the elevator buttons, and touch seniors’ fragile decorations? Sometimes they do. But do they greet seniors, spontaneously shake hands, and bring joy everywhere they go? Absolutely, they do. I’ve found that the more I trust them, the more I let them be and experience, the less they push my buttons (elevator buttons are another story). I think what challenges adults most about toddlers is that they are unpredictable. We want to control them, keep them in a bubble, keep their clothes clean and manners perfect. That’s just not the way it is for them. They want to experience it all, hands on, and that’s how they learn. 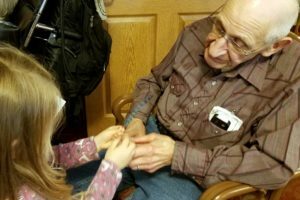 How can I expect my students to greet the seniors they meet out and about if I never give them a chance to try it? How can I expect them to try new things if I never let them take any risks? How can I expect them to be capable if I do everything for them? How can I expect them to care for their classmates if I never give them a chance to help? 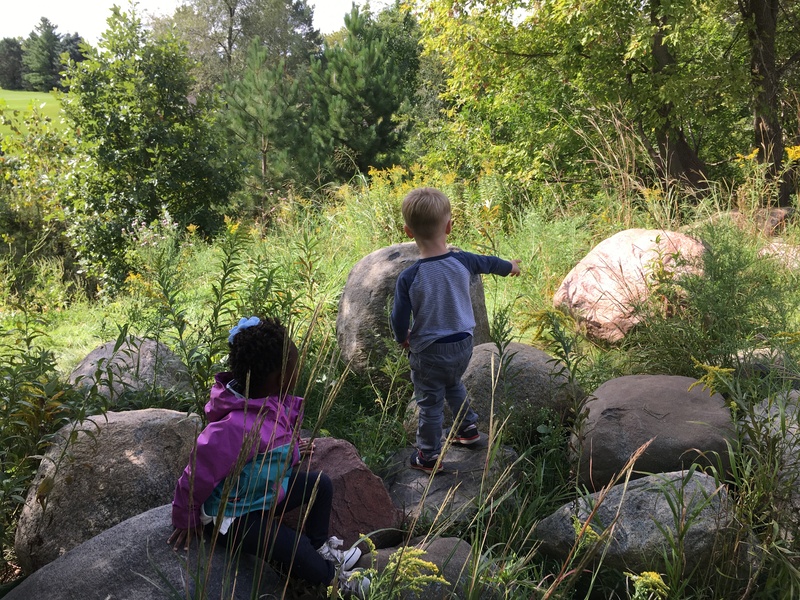 Just in the last week, I watched toddlers jump off the retaining wall on the playground after carefully assessing the risk and choosing just the right height that felt safe. I watched a student help another who was crying because he couldn’t get his jacket off. 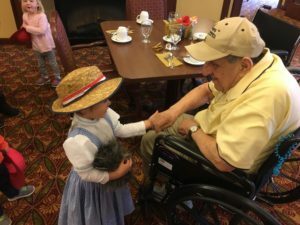 I watched a child reach out and shake hands with a new grandpa, completely of his own volition. I listened as a student reminded others to wait for a child who had fallen behind. It’s time to rethink our toddlers’ reputations.